In today’s digital age, more startups are taking off than ever before. But as a new entrepreneur, you may not have all the materials and design systems you need to produce the prototype PCBs for your products. You can save money. This is one of the biggest benefits of outsourcing as an entrepreneur. You might not be able to afford the computer-aided design systems, software, or the cost of employment to get the PCB prototypes you need. When you outsource a PCB assembly service, you get all the advantages of having an expert PCB assembly team without the in-house cost. You can devote your time to other projects. When you outsource your PCB assembly service, you’re placing your PCB prototypes in professional hands. This means you can devote your time elsewhere in your business to develop new projects, fix any issues, or work on new marketing strategies. You’ll catch design problems early. The reason why prototypes exist is to keep from making problems with the final design. When you outsource your prototype assembly service, you can catch problems you might not have been able to catch on your own. This could save your business from making a big mistake that could hurt your reputation when you need it most. You can expert a high-quality product. By outsourcing PCB experts, you’re not just saving money. You’re also ensuring that your prototypes are high-quality, which later makes for higher-quality final products. This is essential for the overall success of your business; the quality of your products can make or break your startup. Where can I find a PCB assembly service near me? As an entrepreneur, one of the best decisions you can make is to outsource a PCB assembly service. Board designers use computer-aided design systems with special software to layout the pattern of the circuit on the board before constructing the PCB. When you outsource, you don’t need to worry about having these design systems or software on hand. If you’re looking a prototype PCB service with turnkey PCB assembly, Advanced Assembly is the place for you. 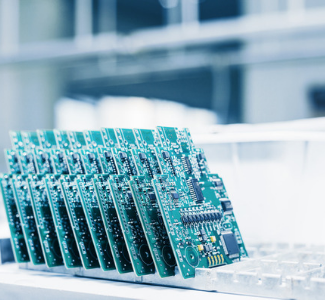 To learn more about our PCB prototyping services, contact Advanced Assembly today.